Residential interior design specializing in the selections for whole house renovations and additions; and, kitchen and bathroom remodeling. Donna Kruse is a graduate of New England School of Art and Design at Suffolk University, Boston, MA. While attending NESAD she studied all aspects of design including fashion illustration, graphic design and fine arts. After graduation, Donna spent a year living in Europe. This experience further influenced her design aesthetic and style. Donna is well known for her strong sense of color to which she credits her minor in fine arts. Donna founded Elements of Design after working for William Filene and Co. Boston as a Visual Merchandise Manager to pursue her passion for interior design. Her work has taken her from New England to the West Coast. When she is not working, Donna enjoys working in her garden, cooking for friends and family, antiquing, traveling and being outdoors. 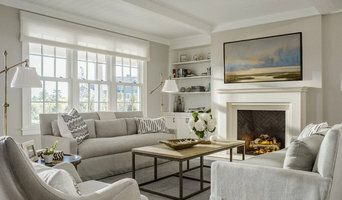 Reid Design, owned by interior designer Rachel Reid, is a residential interior design and decorating firm located just outside of Boston, Massachusetts. Whether you are redesigning your current residential space or building from the ground up, we provide you with expert and attentive assistance from concept development to completion of project. If the look is contemporary, traditional, transitional, or eclectic, we will create an interior design that beautifully fits your home and lifestyle. 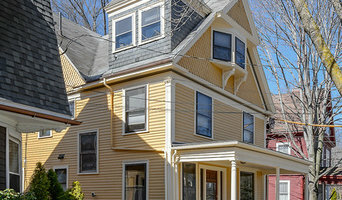 Rachel Reid's work has been featured in multiple publications including Home Magazine, Boston Globe, Design New England, and Apartment Therapy. Kristy Kay's signature style incorporates creativity, practicality, and timelessness to create a sophisticated but accessible design. Follow her to learn an array of design tricks and DIY techniques, and also watch as she creates beautiful and well executed interior design projects. <a rel="nofollow" target="_blank" href="http://bit.ly/1xC9TkO">http://bit.ly/1xC9TkO</a> to see her video series!